Anime Limited to screen ‘Eureka Seven: Hi-Evolution’ movies in cinemas. Coming to cinemas in United Kingdom & Ireland. We know many of you out there have a lot of love for the classic series and were delighted when we announced we would be bringing that classic series to Blu-ray in the future. Our plan to release the series is still very much in the works behind-the-scenes here at AllTheAnime HQ, we still can’t share detail on what you can expect yet as we’re still signing off on what we have planned. But, today we can tell you some other brand new news relating to Eureka Seven and it being in the UK. 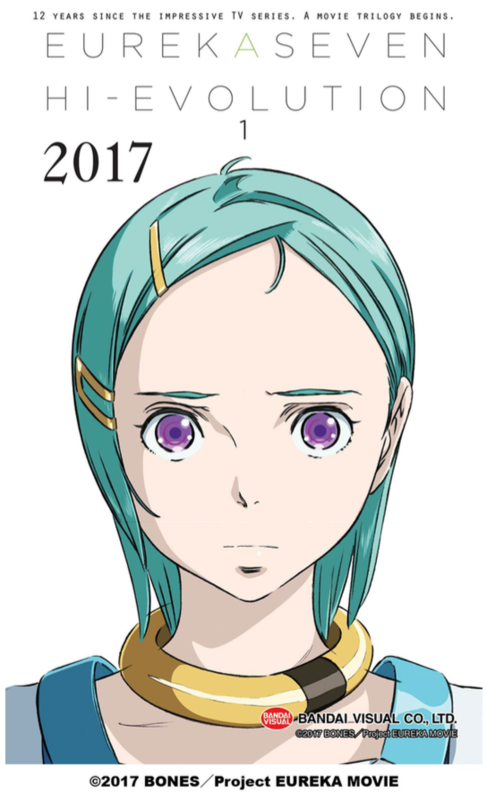 For those of you not aware, this past week at the Anime Boston in event in North America, Studio Bones announced a new 3-part movie project called Eureka Seven: Hi-Evolution is in the works, with the first film due in Japan later this year. Today we are delighted to announce that we will be bringing each of those films to cinemas in the United Kingdom and Ireland. Though were still working to finalise details, there will a screening in the UK as close to the Japanese release as possible and then there will be screenings held across UK & Ireland during the first quarter in 2018. UPDATE 13/02/2018: After much consideration, the decision has been made to focus on a home video release for the first instalment of Eureka Seven: Hi-Evolution, in lieu of a broader theatrical release for the film. We know a lot of you will want to know more details about this, however there are literally no more details to share at this time. But please know these films are coming to cinemas! You can watch a Japanese promotional video for the Eureka Seven: Hi-Evolution project, and read the official press release from Bandai Visual below. THE NEW PROJECT OF EUREKA SEVEN IS NOW ON THE HORIZON! It has been almost 12 years since the original TV series came out. The new movie will capture the story of Eureka and Renton. 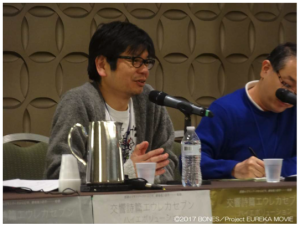 At Anime Boston, Chief Producer Masahiko Minami of the project (also the President of animation studio BONES), announced that Part 1 of the trilogy will be released in theaters this coming fall 2017 in Japan. Part 2 and Part 3 will be released in 2018 and 2019, respectively. Overseas releases in territories such as US, Australia, UK, France, Singapore, Malaysia, Indonesia and Thailand are also planned. Also during the panel, Minami showed new setting and character art featuring Hammer Head, Devil Fish, Eureka, Adrock, and Nirvash. Further details regarding “Eureka Seven: Hi Evolution” will be announced shortly. Masahiko Minami at Anime Boston Was this encounter all just a coincidence? Or was it fate? Where will Renton and Eureka’s journey end?